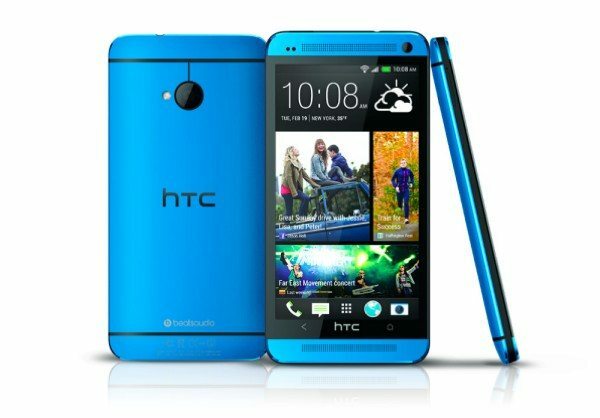 We’ve been following developments about the arrival of the HTC One in blue to add to the other color options available. We knew that it was coming to Verizon, and now we know it will also be on AT&T and Sprint. The Metallic Blue HTC One will be exclusively available from Best Buy, with a release in days. Previously we showed some leaked images of the blue HTC One, and following this we also saw the blue version in packaging for Verizon. The news today is great for AT&T and Sprint customers who may also want this vivid blue variety of the One. The release date on Best Buy is very close, as it will launch on Sunday September 15 with 4G LTE service for the above carriers. The blue HTC One will be available from Best Buy online as well as 1400 Best Buy and Best Buy Mobile retail stores. No carrier or off-contract pricing has been announced yet for the HTC One in Metallic Blue, but there should be further news on that very soon. However, we’d be surprised if it was any different to the prices of the other color options. Currently the HTC One is also available in red, black or silver (regions and carriers vary). The HTC One smartphone has been hugely acclaimed and one of its major features is a 4-megapixel UltraPixel camera, especially good for low-light conditions. With a quad-core processor, Full HD 4.7-inch display, 2GB of RAM and running Android Jelly Bean, it’s pretty difficult to go wrong with this handset. We also know that the the HTC One Mini in blue is also on its way at some point. You may want to check out our initial comparison of the HTC One vs. the recently announced Samsung Galaxy Note 3 to get a good look at what the phones offer. Are you a potential customer for the HTC One in Metallic Blue? Will you be hotfooting it down to Best Buy on Sunday? In this color HTC one is looking awesome…!